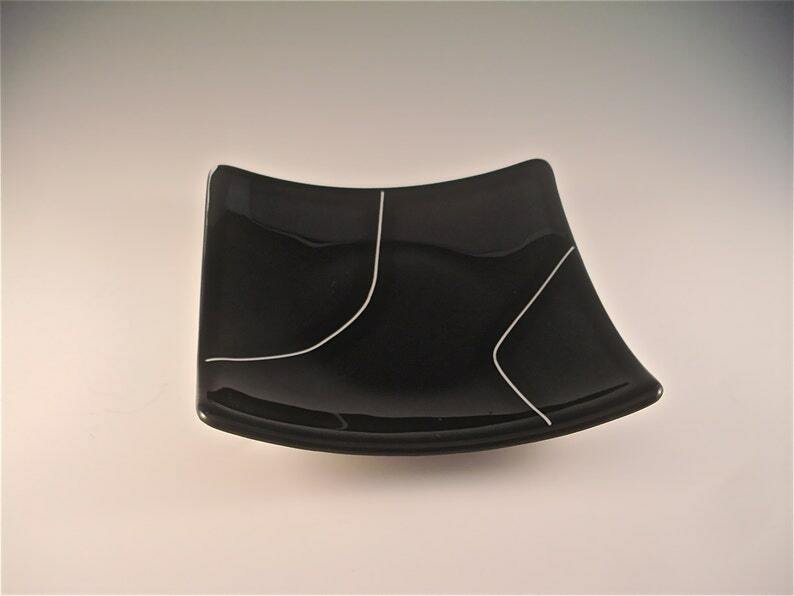 This simple yet beautiful dish measures approximately 7.5 inches square (19 cm) and is raised 1.5 inches at the edges (4 cm). It is VERY sturdy (if you were here right now, I'd be banging it on the table to show you how sturdy) and versatile as well as lead-free, food safe and dishwasher safe. It can be left empty to admire or used to hold or serve food, as well as candles, junk mail, keys, snacks, or whatever else you can think of! I am also happy to do international orders- just convo me with your location so I can figure out the shipping charges.